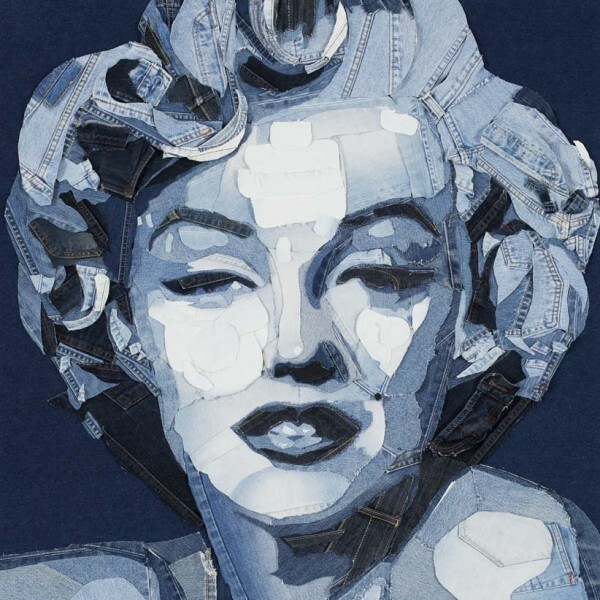 This entry was posted on Friday, September 7th, 2012 at 1:20 pm	and tagged with art, Canadian Tuxedo, Denim, Denim on Denim, Denimu, double denim, Marilyn Monroe, recycled denim, recycled jeans and posted in Art. You can follow any responses to this entry through the RSS 2.0 feed. « Selena Gomez on set in a Canadian Tuxedo! Reblogged this on Carley Robinson's Photos.